Calendar reminders work great if you have to do something at a specific time, but what if you have to remember something at a specific place? That’s where Post-it PopNotes come in. Maybe when you leave work you have to remember to pick something up on the way home, or when you get home you need to remember to whip up some chili for tomorrow’s pot luck? Setting a reminder in your calendar isn’t very reliable for that. Perhaps you normally leave work at 5pm, you set a reminder in Outlook that diligently annoys you 15 minutes before, you snooze it a few times, then 5pm rolls around and you pack up for the day. You excitedly hop in your car with visions of settling down on the couch to watch your evening sitcoms and next thing you know you’re home and you forgot to stop and pick up a bottle of wine. If you’re like me, this happens all the time. I get sidetracked easily and time based reminders just don’t cover everything. Just like I had to pick up bagels on the way to work yesterday. The Post-it PopNotes app on my iPhone basically allowed me to stick a massive imaginary Post-it note on the exterior of the bagel shop so when I drove near i’d remember. The night before, I scribbled the barely legible word “bagels” on a note in my phone, dropped the pin onto the map near the bagel store and I was in business. Driving to work the next morning my phone beeps right on cue about 100 yards from the store. Of course I didn’t mess with my phone while driving, that wouldn’t be safe, but it was enough to remind me to stop. 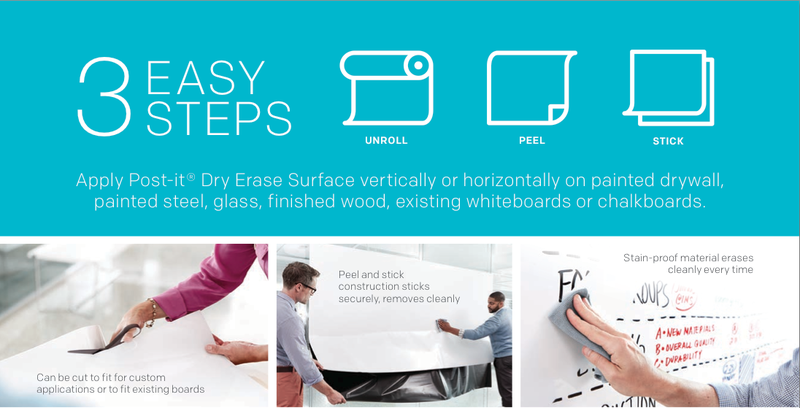 So there you go, a new innovation from Post-it that doesn’t involve adhesive of any kind. And if you really want to have fun with it, make your spouse download it too, and you can place reminder notes for them! Our Cover Story – From the runway to our catalog. If you’ve seen our Everything for the Workplace catalog for 2011, then you’re probably familiar with our rather unique cover. Its styled in a magazine concept, similar to Vogue magazine for example. But did you know the story behind the cover? Read on, and we’ll give you the back story. 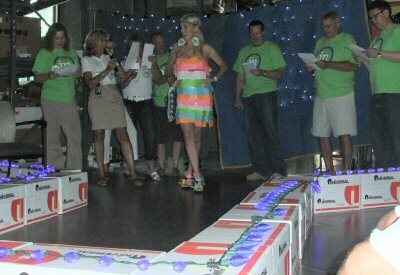 It all started when we celebrated our 9th anniversary with an employee driven “runway” contest. Employees were divided into teams to create an entry in our own fashion show. From one of those teams, we were rewarded with the following amazing entry…. 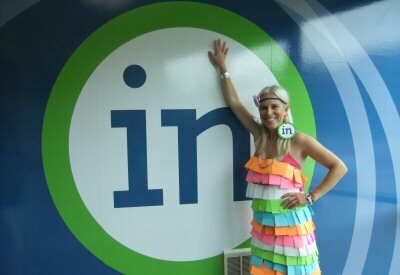 a dress made out of Post-It Super Sticky Notes. The runway show was a hit and while we saw a lot of great entries, this creative use of office supplies served as a fantastic inspiration for our next catalog cover. Even better, it allowed us to showcase one of our own employees, Account Executive and mother of two, Sarah Johnson. In the fall of 2010, we flew Sarah into Chicago for a professional photo-shoot to get our cover just right. We’re really happy with how it turned out, certainly very unique in what has traditionally been a fairly boring industry for catalog covers. So now we’re faced with the challenge, what should we go with next year? How do we raise the bar? We’re thinking we’d like to perhaps continue the theme, and include employees again. 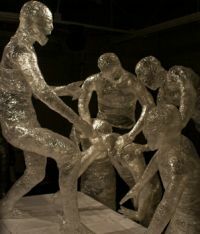 Feel free to share your ideas! Don’t forget Mother’s Day is fast approaching, this coming Sunday May 8th. We just thought we’d share a couple of neat products that might be useful as Mother’s Day gift ideas. Not only are they cool products, but a portion of the proceeds go to benefit City of Hope for breast cancer research. Great way to augment your gift giving this Mothers day while also helping a good cause. 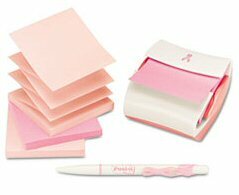 MMMPRO330BCA – Note Dispenser & Pen for Breast Cancer Awareness, 3×3, includes 4 pads. 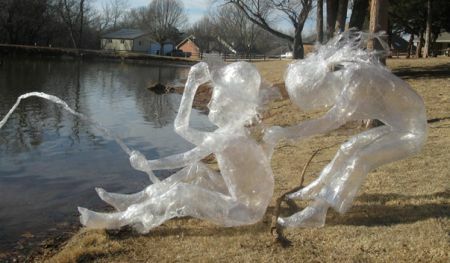 Its amazing what you can do with a few (ok, a lot of) rolls of Scotch tape. Here are just a few of the winners from the 2011 Scotch Off The Roll contest.